An Orrery is a mechanically driven scientific instrument or model that illustrates the relative positions and movements of the planets and their moons within the solar system. Thomas Barlow constructed some of the most impressive orrerys, spanning 15' in diameter and standing close to 5' tall. Barlow's Orreries accurately depicted the relative positions and movements of Mercury, Venus, Earth and the Moon through the years 1800 to 1900. Of the 14 known Barlow orrerys that were built, there are only three known survivors. Washington & Lee University contacted B.R. 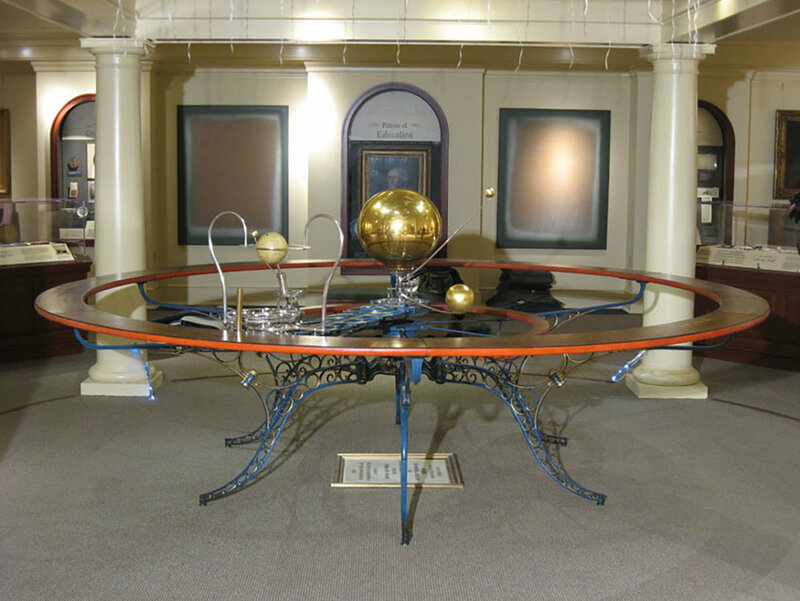 Howard to conserve their orrery that had been donated by General Robert E. Lee. 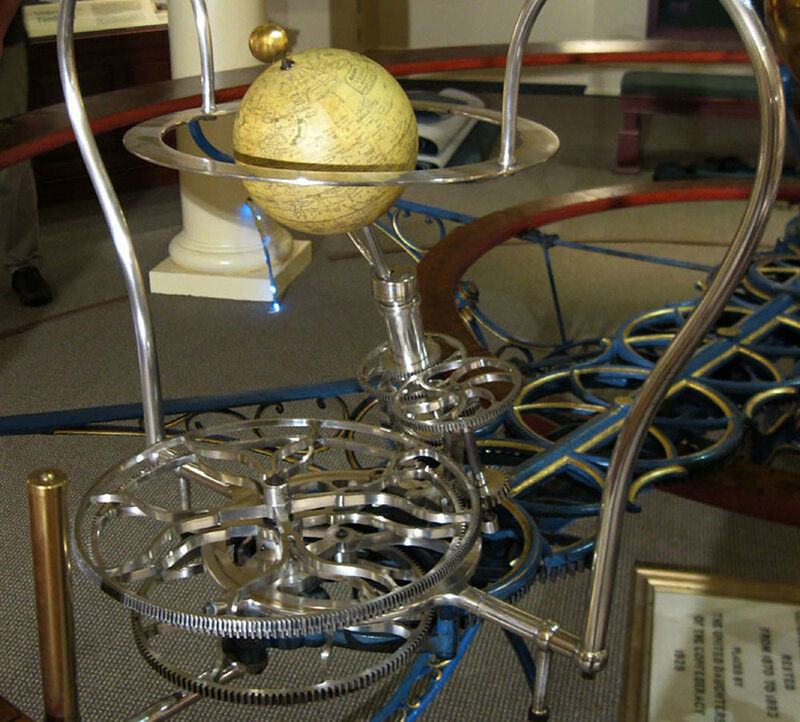 The orrery had remained disassembled and crated for years as damages had prevented it from being assembled for display. The iron components had a darkened varnish which concealed the vibrant and decoratively painted and gilded surfaces. The varnish was removed and areas of active corrosion chemically stabilized. Areas of lost paint and gilt decoration were in-painted using a reversible inpainting palette and then given a final reversible resin coating to protect against future loss. All silver plated elements that had tarnished were carefully polished, degreased and lacquered. Several gears were repaired and broken structural components were fabricated so that it could be reassembled. The glass sphere that represented the Sun was cleaned and areas of loss were water gilded. The inner planets were also cleaned and re-gilt as necessary. The wooden rings surrounding the Orrery were cleaned; lifting paper was re-adhered and paper inserts were created and toned to match the original surfaces. 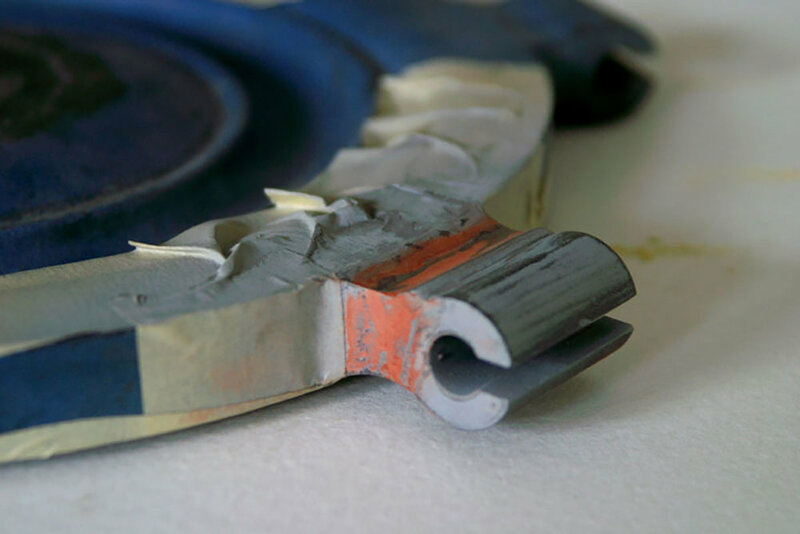 A final protective isolation coating was applied to the varnished paper. Upon completion, the Orrery was carefully crated and transported back to the university where it was then reassembled.